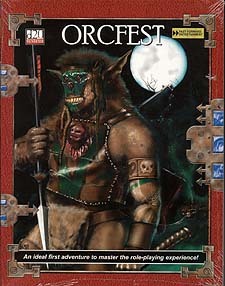 Orcfest is the perfect start-up adventure for the new 3rd Edition of the Dungeons and Dragons roleplaying game. It's a rollicking quest that culminates in a climactic battle against an orc war chief and his army, paired with a step-by-step guide to character development,die rolls, combat, and more. As you play, both the game master and the players receive advice and hints to explain the game for first-timers. Even experienced players will find tips for faster, more streamlined play - tricks that took the rest of us many years to discover.